Here at Dorvics we are so hoppy that we are an official Frog Bike Dealer. These are just about the best bikes for kids, both for quality and cost. 10% discount on all Frog bikes ordered with the City Pack until the end of November. Or, we can even secure a Frog for you for a 20% deposit and take weekly payments right up until 21st December. 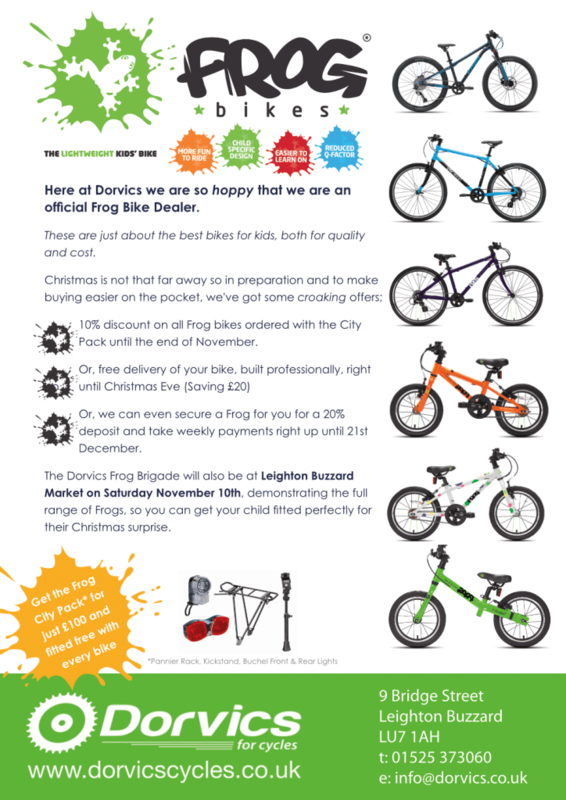 The Dorvics Frog Brigade will also be at Leighton Buzzard Market on Saturday November 10th, demonstrating the full range of Frogs, so you can get your child fitted perfectly for their Christmas surprise.